Andy Warhol. Eat. 1963, 16 mm film, 39 minutes. 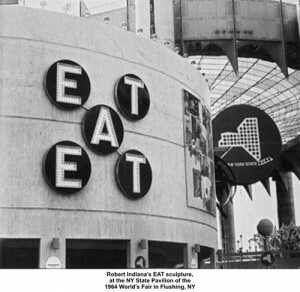 Robert Indiana, Eat sign for 1964 World’s Fair in Flushing, New York. The sign was turned on for only one day because people got angry when they realised it wasn’t a restaurant.